Not experienced? No space? Family won’t help? If you not experienced start small. Plant the vegetables that your family likes to eat and think of a way they like to eat them. Maybe plant a Pizza Garden with a few tomato plants, sweet peppers and basil. Or try a Taco Garden with tomatoes, lettuce, and cilantro. Or get creative with a Salad Garden and plant whatever you like in a salad – maybe spinach, lettuce, cucumbers, peas or carrots. Don’t have the space for a garden? You can grow some vegetables in large containers on your porch, deck or just outside your door. Just make sure they get plenty of sunshine, water and not too much wind. 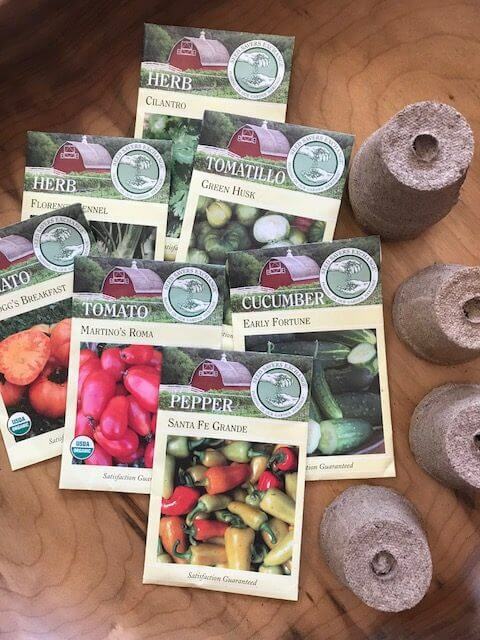 The whole family can help with the garden and benefit from the delicious produce. Dig with a small plastic hoe or shovel. Place seeds into a hole. Give water to seeds and plants. Why not give it try – you may be surprised how fun it can be as a family project.